Utahns Against Hunger - Double Up Food Bucks Gains Ongoing State Funding Support! Produce incentive program, like Double Up Food Bucks (DUFB), received an ongoing appropriation of $400,000 per year. The new funding will help grow DUFB at Utah farmers markets and farm stands while supporting the expansion of produce incentives into brick and mortar grocery stores. 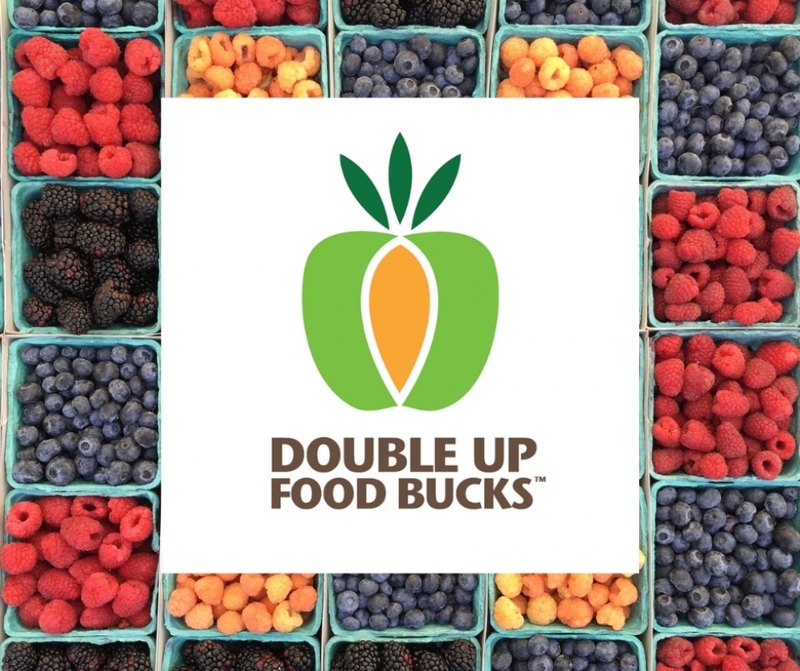 Double Up Food Bucks (DUFB) is an innovative produce incentive program that makes fresh fruits and vegetables more accessible to low-income residents who receive SNAP benefits (formerly known as food stamps). The program works by matching SNAP benefits at participating farmers markets and farm stands. The matched benefits can be used to purchase Utah-grown fruits and vegetables. Last season, over twenty farmers markets and farm stands participated in the program across the state. Programs like DUFB are a win-win-win for Utah families, farmers and local economies. Low-income families take home more healthy food, Utah farmers gain new customers and more income, and more food dollars circulate in the local economy. The appropriated funds will be administered by the Utah Department of Health, the agency that took over management of DUFB from Utahns Against Hunger in 2018. The non-profit organization, Urban Food Connections of Utah, has been contracted to implement the existing farmers market program. Meanwhile, the Department of Health will work with a broad coalition of partners (Utah Produce Incentive Collaborative) to introduce similar incentive programs into brick and mortar stores. Securing state support for produce incentive programs is a crucial ingredient for their long-term success. Federal funding for Utah’s Double Up Food Bucks program ran out in 2017. Since that time the program has been supported exclusively by private funds. While private sector support has been critical for keeping DUFB alive, this appropriation will be leveraged to build a much more stable financial foundation for the program, allowing it to flourish and expand into more and more communities across the state. Utahns Against Hunger (UAH) would like to thank Representative Stephen Handy and Senator Gene Davis for their leadership on this appropriation, and for all of the organizations and constituents who reached out and encouraged their legislators to support the request. UAH worked alongside members of the state Local Food Advisory Council (co-chaired by Rep. Handy and Sen. Davis) and the Utah Produce Incentive Collaborative to help develop the appropriation request. Members of our staff also advocated, testified, and lobbied for the request during the session. Finally, we want to give a special shout-out to key partner organizations who helped move this appropriation request forward, including the Utah Chapter of the American Heart Association, Urban Food Connections of Utah, Red Acre Center, and all of the members of the Utah Produce Incentive Collaborative.